Beautiful styling and a feature list to match! This dryer doesn't compromise anywhere. 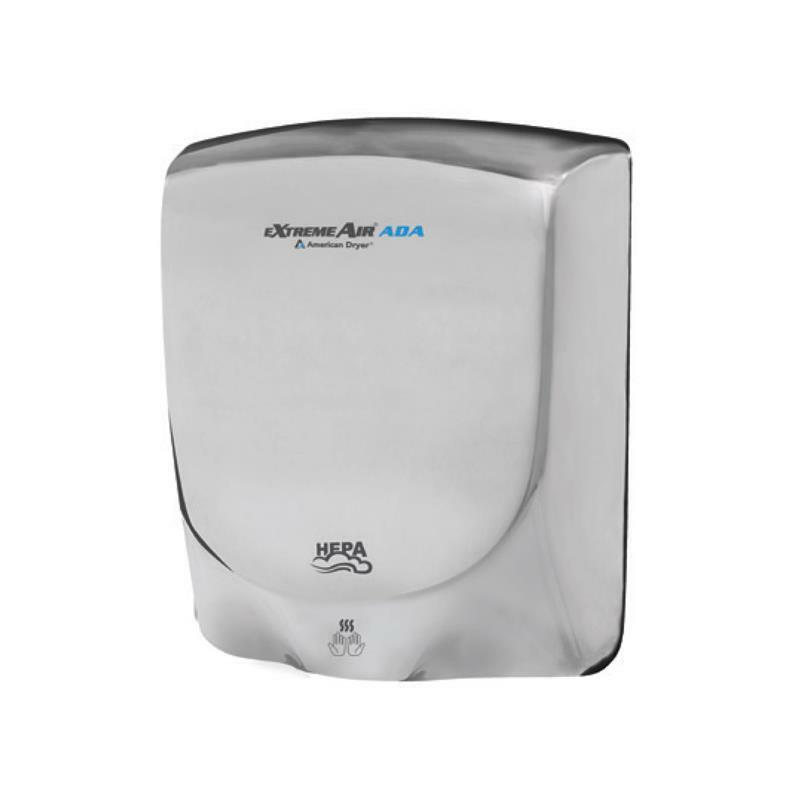 Fast Dry Time - HEPA Filter - Adjustable Speed - Universal Voltage - SteriTouch Antimicrobial Cover - Replaceable Motor Brushes for Extended Product Life. 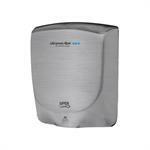 Only 950 Watts in power requirement makes it very energy efficient! There is even an optional adapter kit for top entry electrical supply. 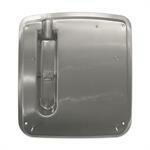 Available with Stainless Steel or Die Cast Aluminum cover. Fan Single-inlet forward-curve impeller, providing air volume of 112m3/Hr (66 cfm); air velocity of 46 m/s (9000 lfm) @ 4" (100mm) below dryer outlet. Heating Element Thermally protected NiChrome wire element. 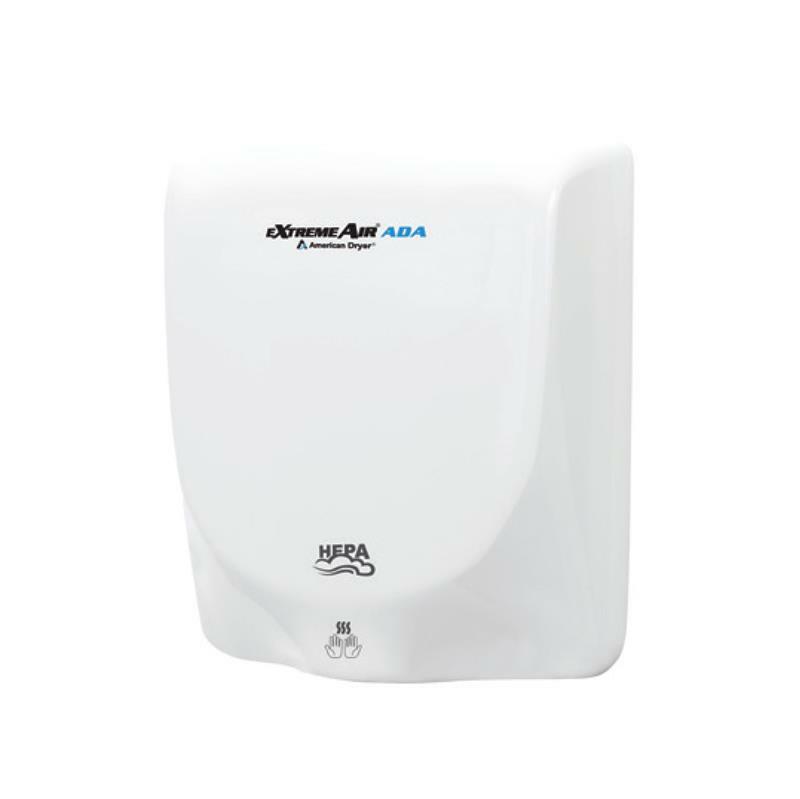 • EXTREMEAIR ADA should be mounted at least 18” above or away from reflective surfaces which may interfere with the automatic sensor operation. 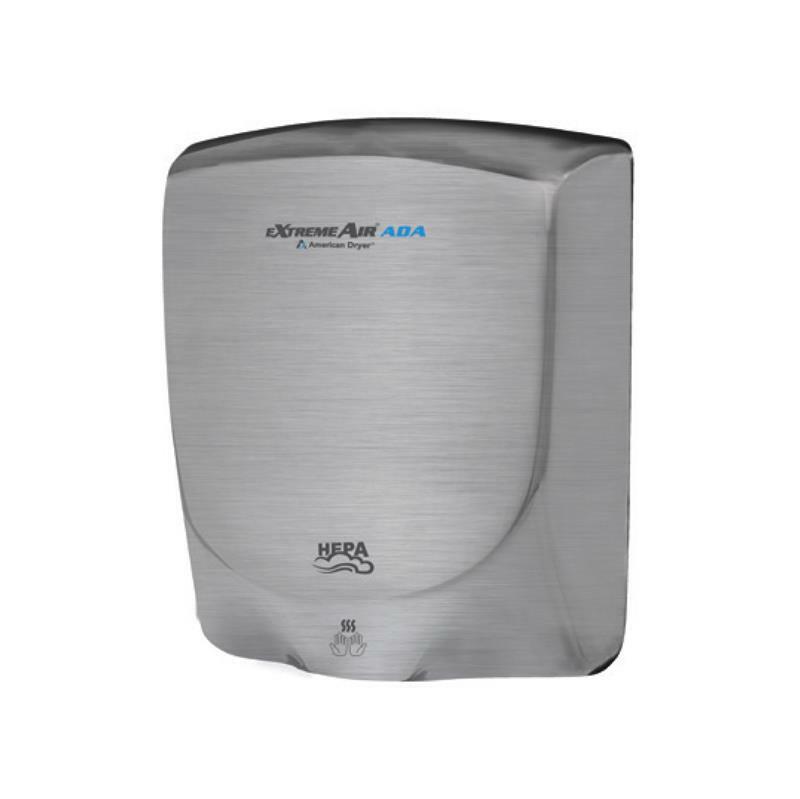 eXtremeAir ADA™ hand dryer by American Dryer Corporation shall include a cover constructed of either die-cast aluminum finished with epoxy paint or stainless steel. The wall mounting plate shall be constructed of die-cast aluminum finished with chrome plating. Epoxy painted covers and molded plastic components shall incorporate SteriTouch® antimicrobial technology inhibiting the growth of bacteria, mold and fungus extending the dryer’s service life. The cover shall be attached to the wall mounting plate with tamper-proof screws. Motor shall be a thermally-protected universal brush type motor operating at 31,000 RPM and delivering 64 CFM air flow at a velocity of 225 MPH (19,800 LFM). 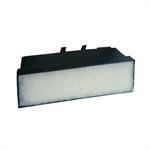 Motor shall have replaceable brushes for extending service life. 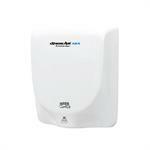 Dryer shall incorporate universal controls accepting 115 / 208 / 230VAC input. Dryer will incorporate a nichrome wire heating element protected by an automatic resetting thermal cutoff. Dryer will include a replaceable HEPA (high efficiency particulate air) filter. Dryer shall be activated by an automatic infrared sensor with a 30 second vandal shut-off. Control board shall contain a HI / LOW speed control switch. 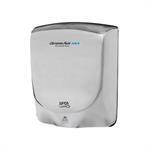 Dryer shall provide an exit air temperature of 130°F at an ambient temperature of 70°F. Dryer shall have an ingress protection rating of IP24. 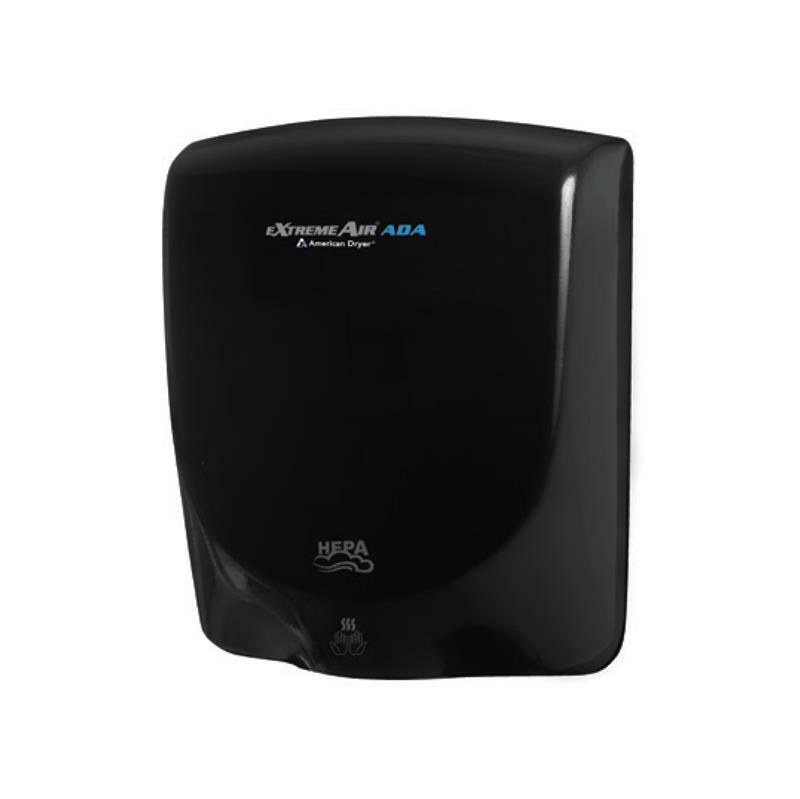 Hand dryer shall be surface-mounted ADA (Americans with Disabilities Act) compliant and certified to standards of safety by Underwriters Laboratories, Inc. and Canadian Standards Association. Top Entry Adapter Kit for installing eXtremeAir ADA hand dryer with surface conduit electrical supply. 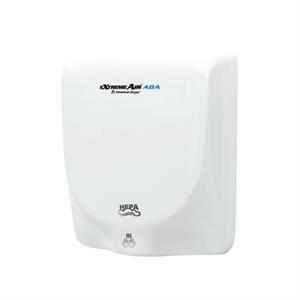 OEM Replacement HEPA filter for American Dryer eXtremeAir ADA hand dryer.